Having trouble telling Japan’s JAXON from Germany’s Johnny 05? 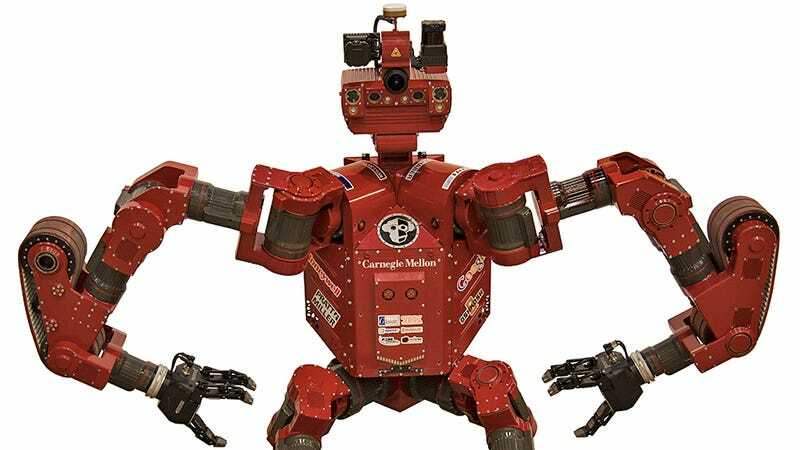 If you have any hope of following along with the DARPA Robotics Challenge Finals this weekend, you’re going to need to get up to speed on every robot competing. Thankfully Erico Guizzo and Evan Ackerman over on IEEE Spectrum’s Automaton blog have put together a handy guide to the 24 bots you’ll see fumbling their way through the competition this year. And when the competition is over, the guide can still serve as a handy reference chart of which robots might one day be replacing you at work, or, more likely, opposing you on the battlefield. Let’s just hope that Grit Robotics’ diminutive Cog-Burn bot does well in the competition, I’m pretty sure I can take him.